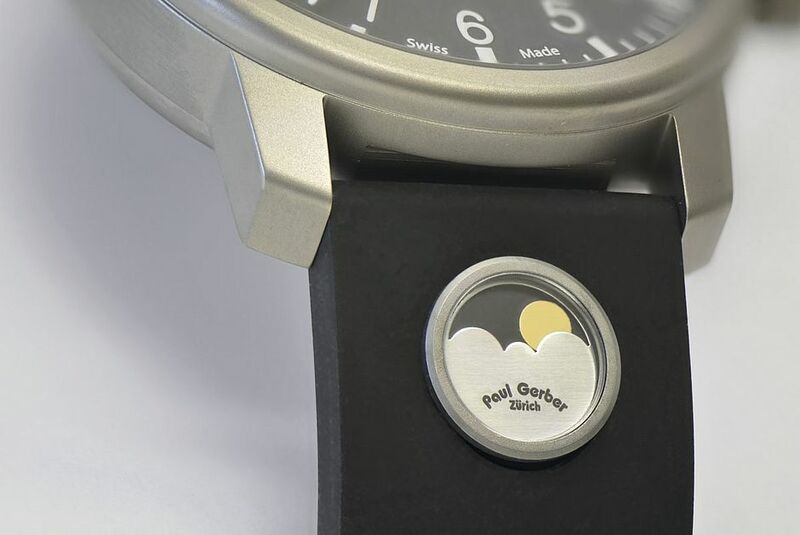 For years customers have been asking Mr. Gerber to create a simple function sports watch. 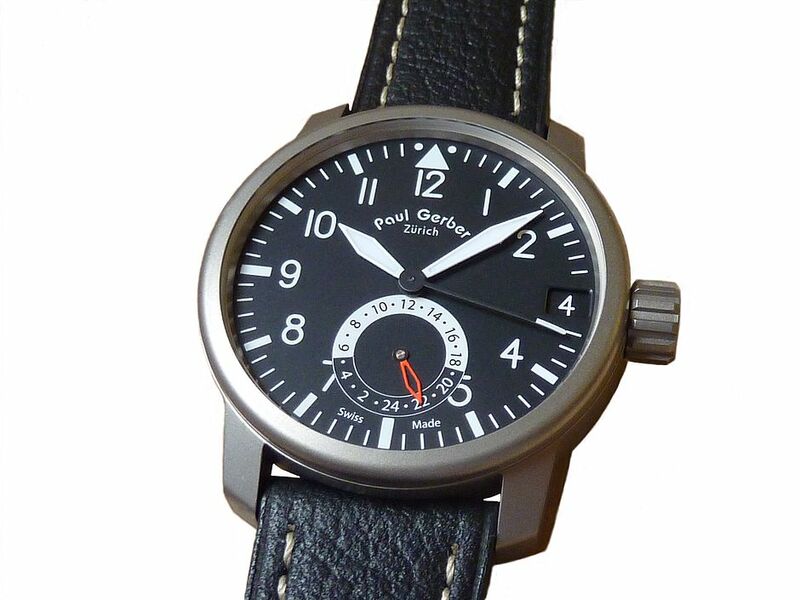 In 2010 he introduced the new Caliber 42 Pilot and Synchron models. 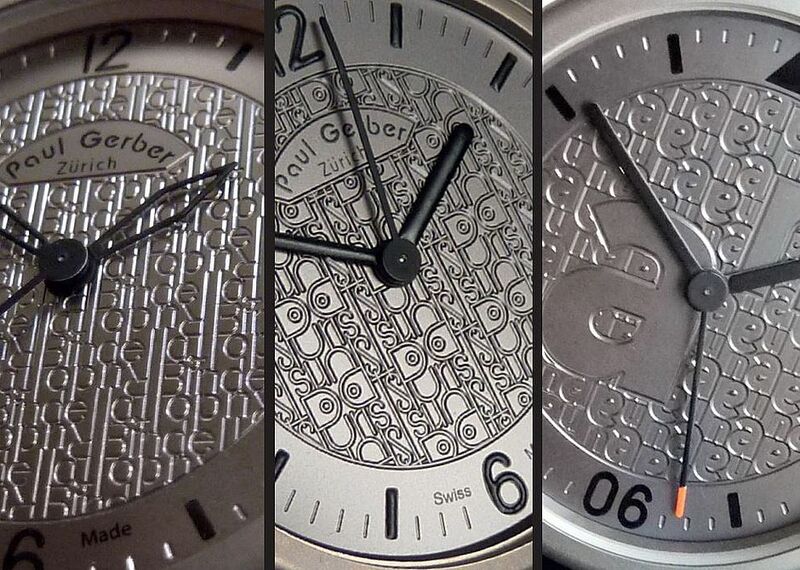 Mr. Gerber modified the date and adapted the automatic winding system with three synchronizing rotors. 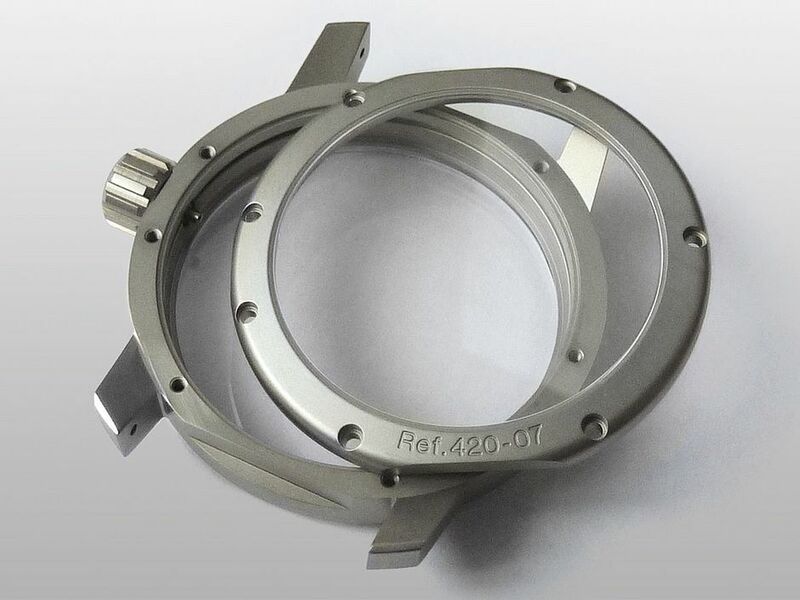 Cased in a 42mm titanium case the Cal. 42 incorporates clean and easy to read dials with Superluminova indexes and hands. 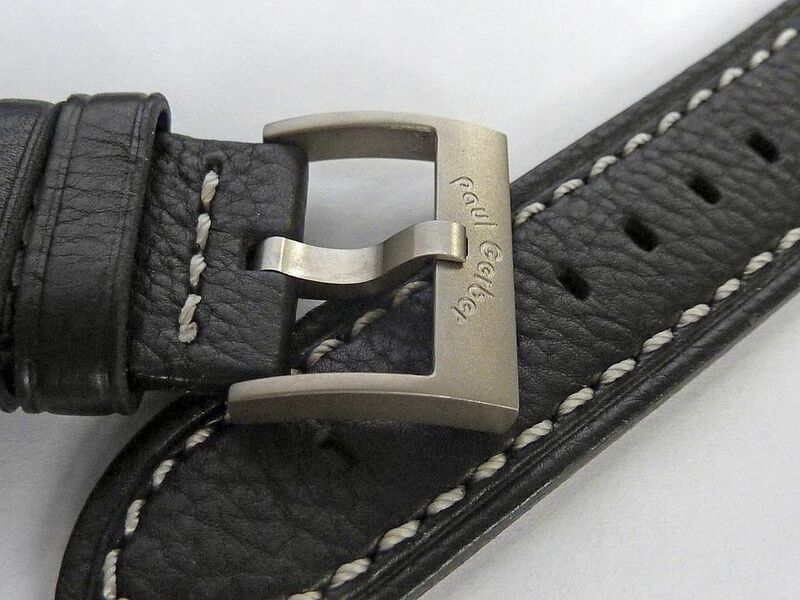 It has a screwed down crown and an exhibition back held in place with seven screws, and a leather strap with engraved «Paul Gerber» titanium buckle. Each case is individually numbered. 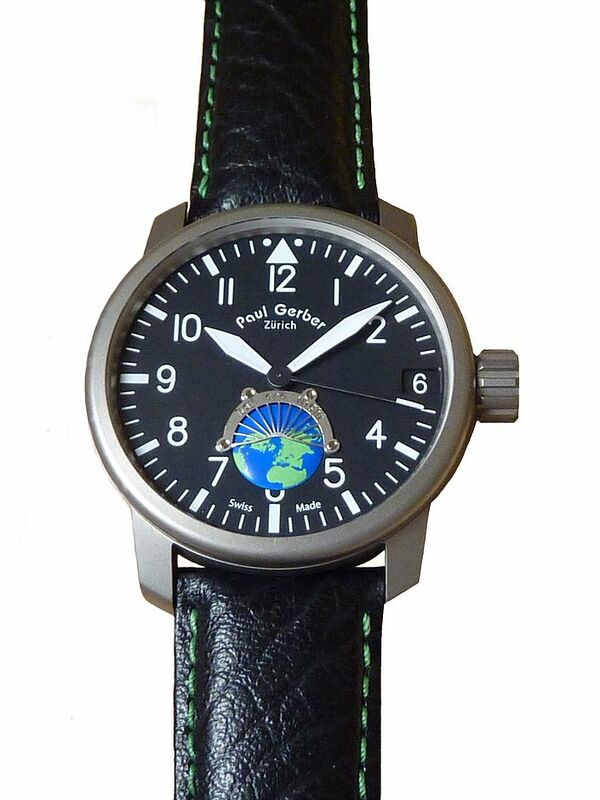 The Day and Night sub dial shows the earth’s northern hemisphere. 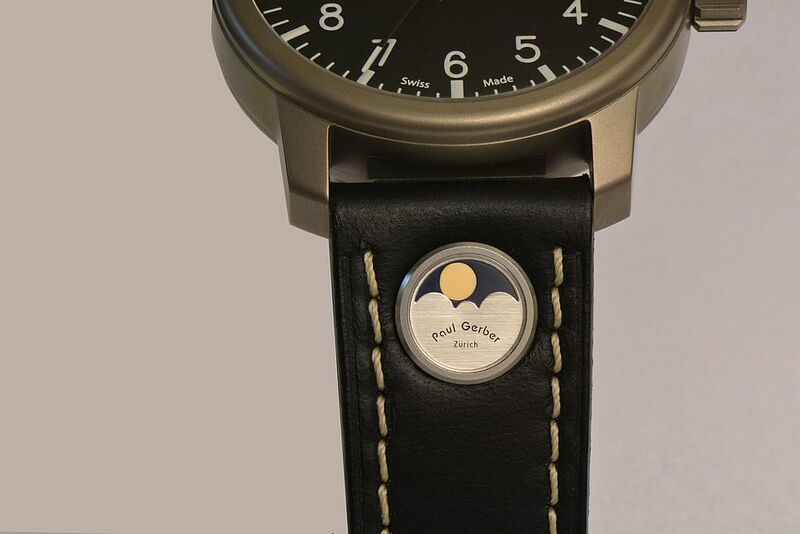 At the 6 o’clock position the dial should be adjusted to your location, when the Sun is at its highest point. 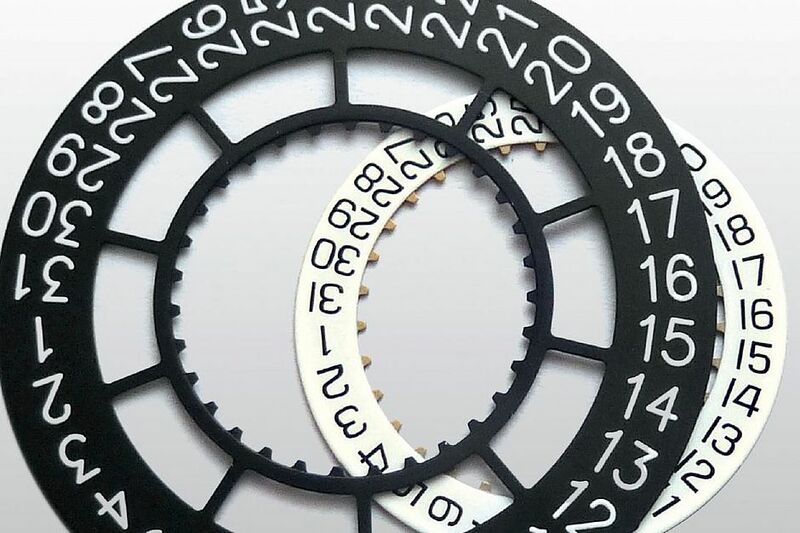 The other half of the dial under the lattice indicates “night”. 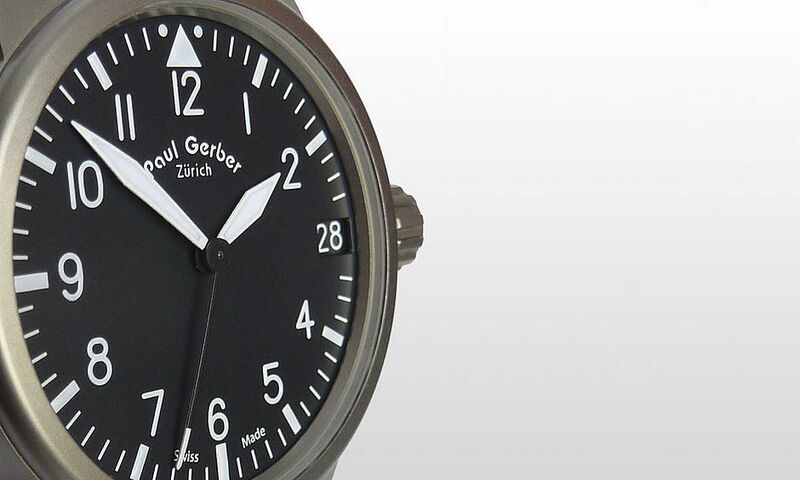 The “Dual Time” sub dial shows an independent hand with a 24hr dial. 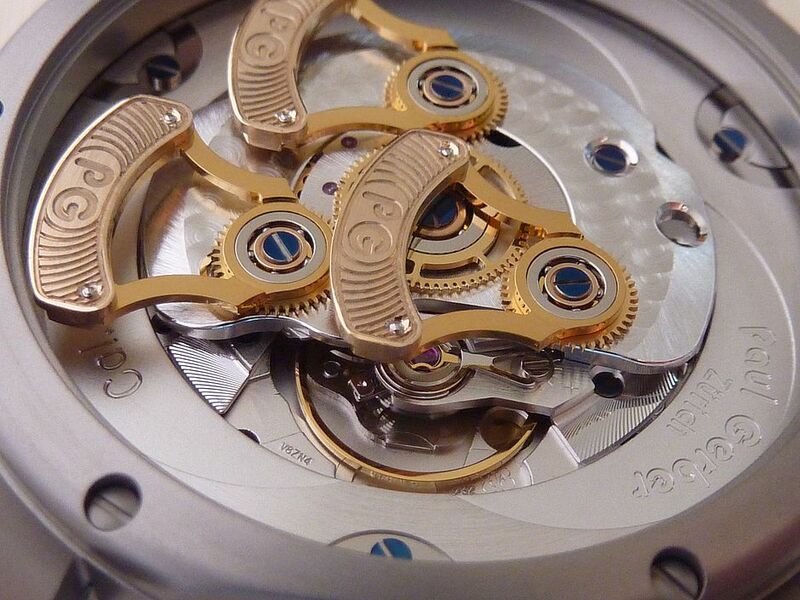 This latest generation of his self-winding mechanism is an advancement of his patented twin rotor system. Superluminove processed hands and numbers (Synchron), hands and indexes (Pilot) allow an excellent legibility in the dark.